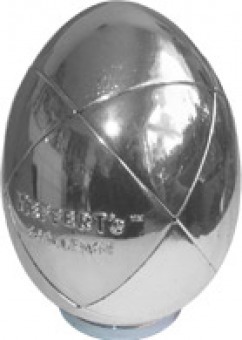 These very Limited Edition Golden eggs make the perfect Easter gift and will not be reproduced. Each egg comes with its own egg stand ring. Orders placed will be honored on a first received bases until stock run out. For any items oversold an immidiate full refund will be made. The Golden Egg, conceived by Tony Fisher uses a full sized Skewb cube ballbearing mechanism the same as the Golden Cube.